Today, it’s more important than ever to have a strong social presence filled with engaging content. Social Media is one of the most powerful ways for businesses to use digital marketing. Many businesses do not put time. money, and efforts into maintaining a strong social media presence. The problem is, when companies don’t put the focus on social media, they are completely missing an opportunity to connect with a long time, new, and potential customers on a daily basis. Our Social Media Management team can help your business gain likes and followers, monitor audience engagement, build relationships, maximize brand awareness, and gain revenue. What is Social Media good for, anyway? To increase your leads and sales, you need to increase the traffic you get to your website. A great way to do so is to feature your site on your social. Once we have people going to your site, we will increase conversions. We will re-target your audience and recent visitors and only talk to those who want to hear from you. One of the most important jobs of social is to build relationships with your audience and customers. When your customers know and trust you, they’re more likely to buy from you. You want your audience to find you where they already spend time. With engaging social campaigns and content developed specifically for you, we’ll get you right in front of your audience. We’ll increase your following with people who actually want to hear from you. First, our creative team will research your company, industry, market, and develop your strategy specific to your company. We will analyze your competitors, identify your audience and create a personalized strategy for your content. Our social media management services include daily management of all your social profiles. We monitor all messages, comments, tags, responses, and check-ins. Our next step is to agree on the strategy and execute it. We will start creating social media content, advertisements and graphics specific to your brand. We will create these strategies for a monthly calendar. Customer experiences are our priorities.  The Killerspots Agency is a contagiously creative, full-service digital marketing, production, and media Agency. Our culture is a strategy at its core. With measurable results and complete customer service. We have EVERYTHING under one roof. Even other ad agencies use us. (not naming names) Furthermore, we have helped businesses of all sizes and budgets get that edge over their competitors. We partner with our clients to develop continuously evolving marketing approaches. Our strategies dynamically adapt to their business for maximum R.O.I. Do you need a quote or more information about social media marketing? Copyright All Rights Reserved © 2018 KillerSpots, Inc.